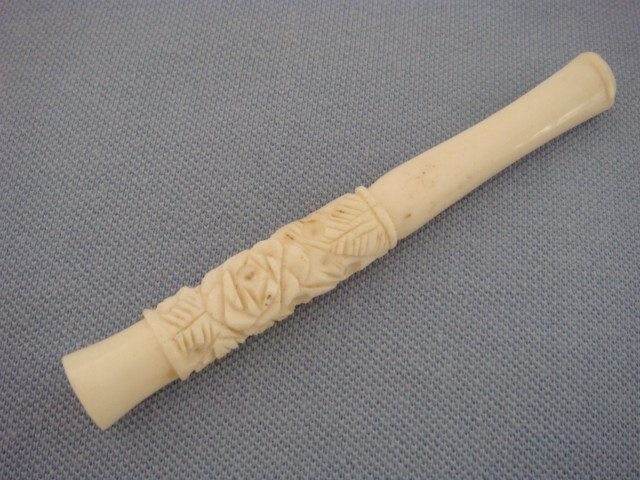 Here is an Art Deco period cigarette holder made of hand carved Ox Bone. 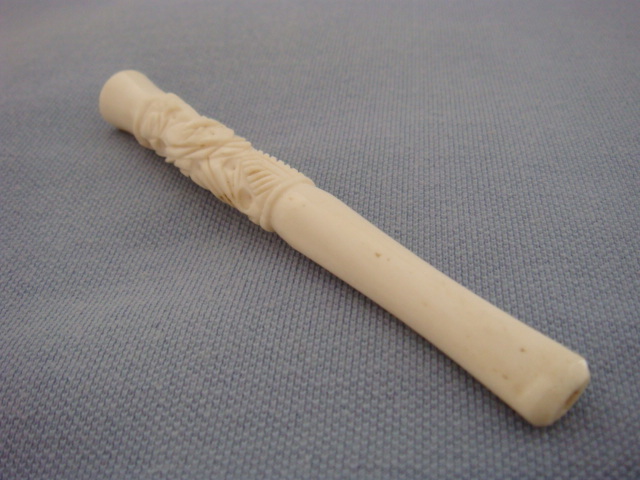 The cigarette holder dates from around the 1930s and is in very good condition. 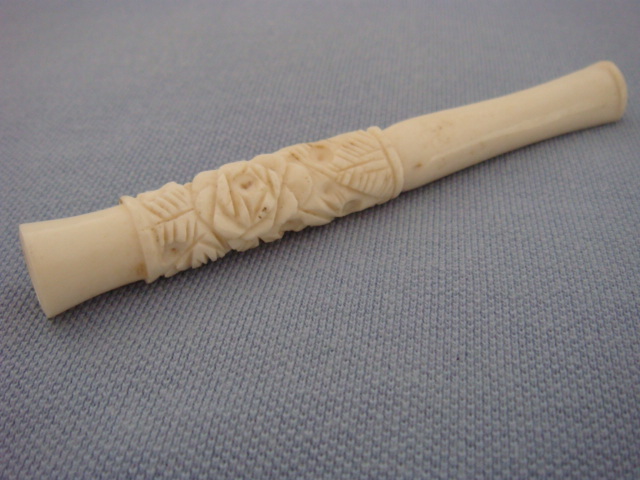 The hand carved pattern is of two open flower blooms and random leaves. 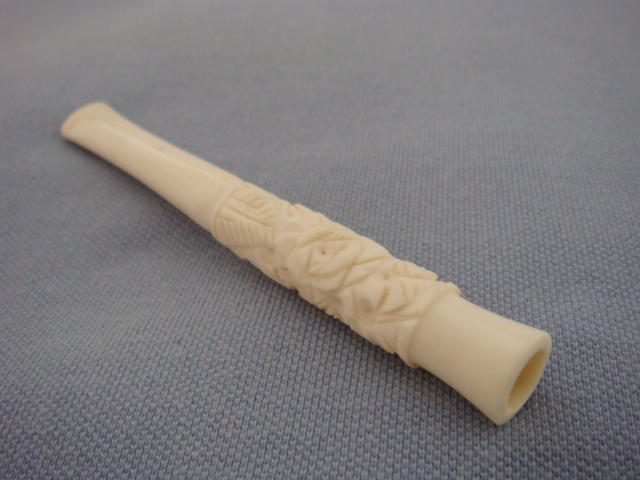 This vintage cigarette holder has a neat shape tapering down to the mouth part. Measurements are 4inches long with the circular end of the cigarette holder having a diameter of three eighths of an inch approximately. Designer or Brand: None. 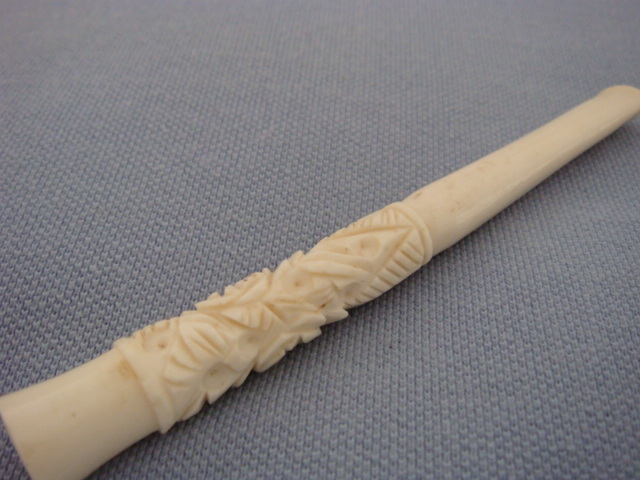 This is a 'one of a kind' hand carved cigarette holder.